The other day Wednesday (11-14-2018), the "cat and mouse" Mandarin duck who has been making headlines in NYC, returned to the pond near 59th Street in Central Park. 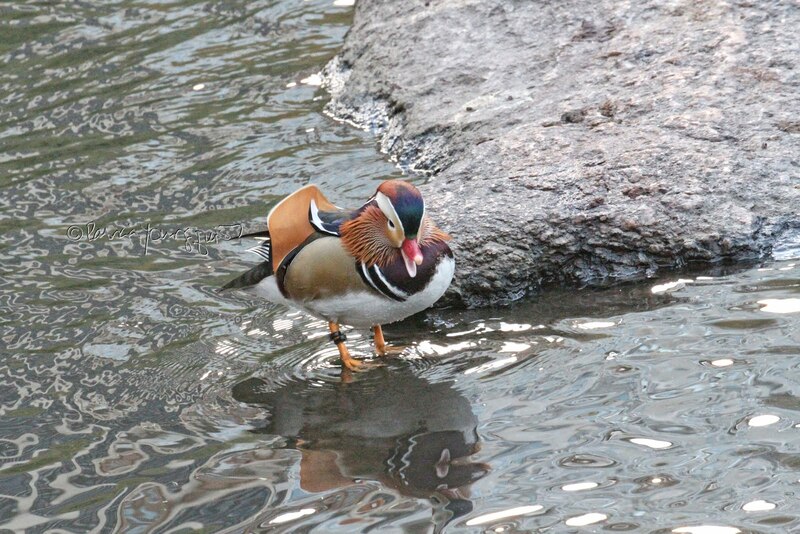 In the image atop this entry, he can be swimming with a Wood duck as a pair of "birding" Mallards gaze at them. 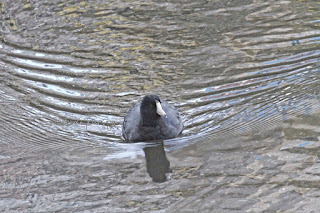 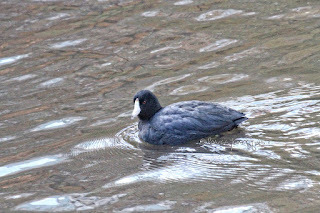 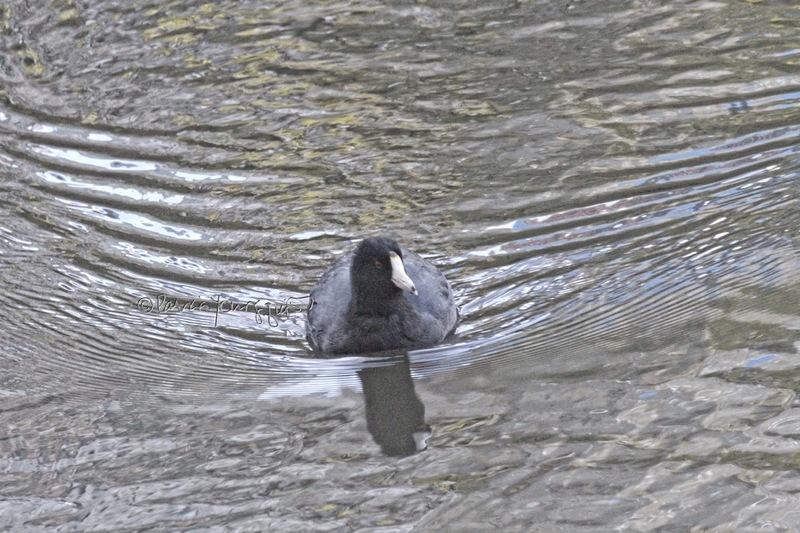 Another bird who was swimming in the pond was an American coot. 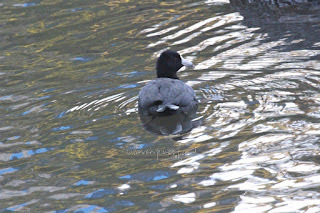 He/she can be seen in the next set of images. 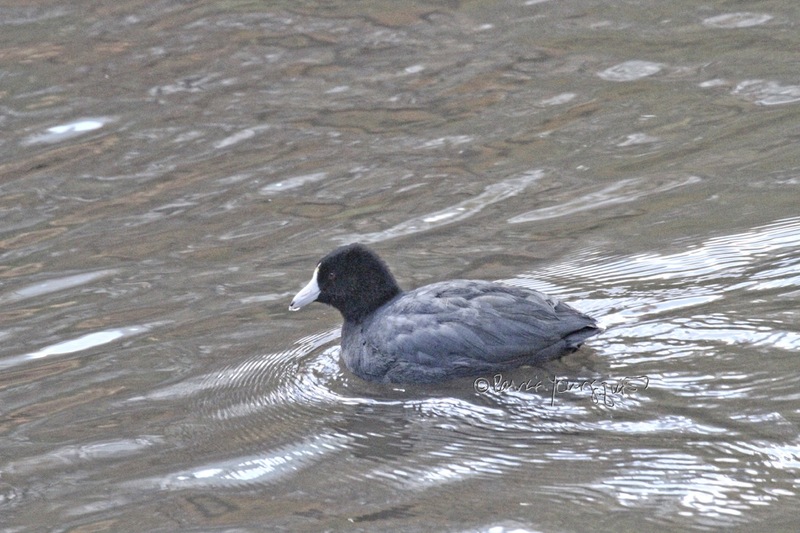 The American coot is often thought of as a duck, but this creature is no such bird! 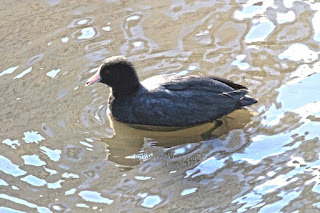 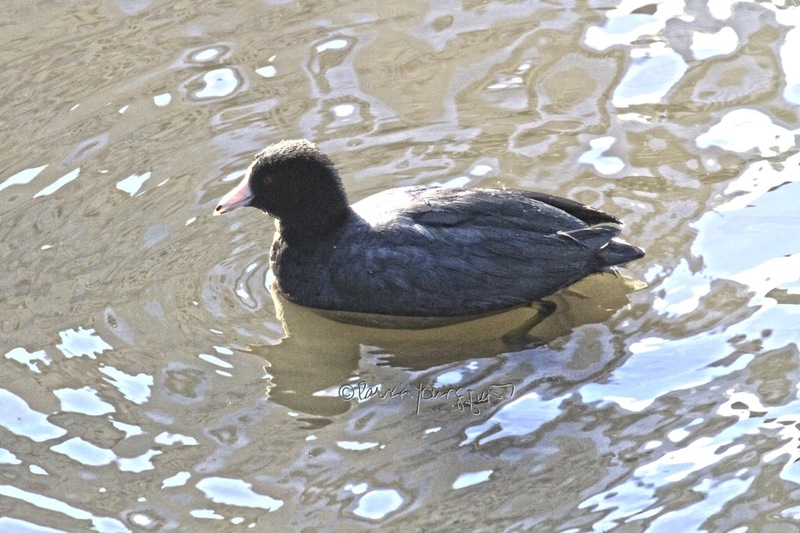 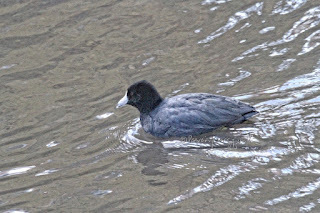 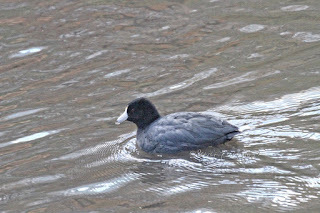 According to a number of sources, including Wikipedia,"The American coot (Fulica americana), also known as a mud hen, is a bird of the family Rallidae. 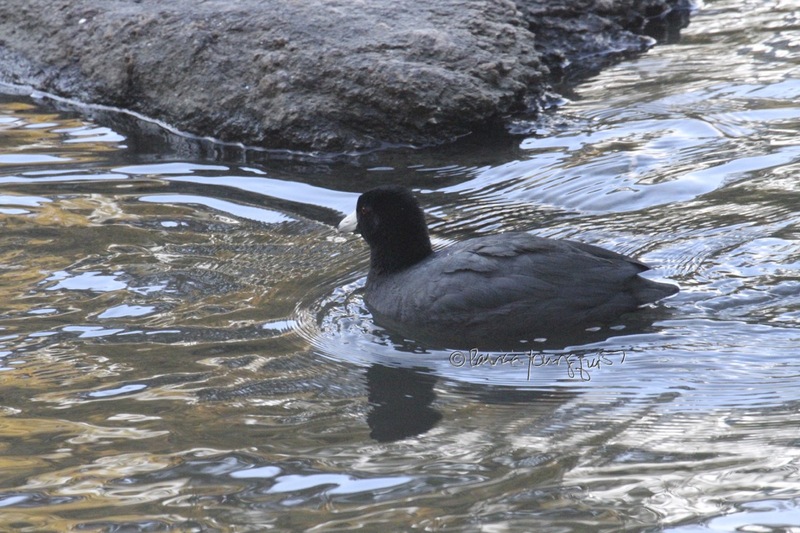 Though commonly mistaken for ducks, American coots are only distantly related to ducks, belonging to a separate order. 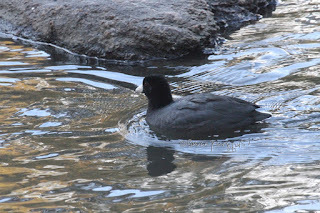 Unlike the webbed feet of ducks, coots have broad, lobed scales on their lower legs and toes that fold back with each step in order to facilitate walking on dry land.." — I have yet to see them walk on dry land, but I continue to see them swimming in the pond hear 59th street. This bird type reminds me of many New Yorkers who often dress in black and gray clothing! 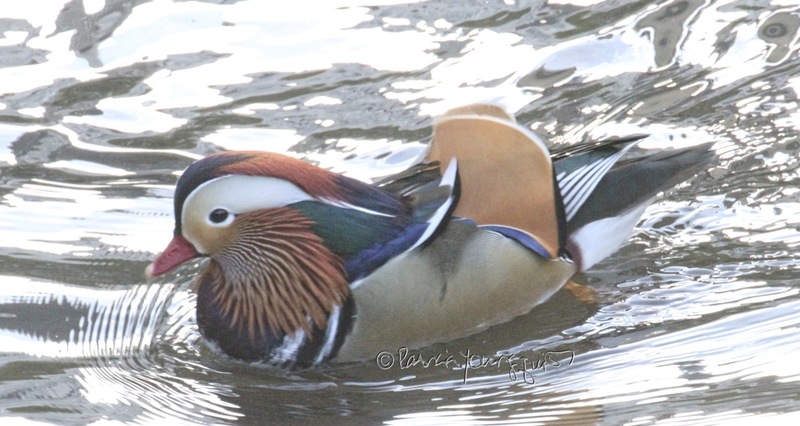 ... he has been a real real joy to all who have been fortunate enough to see him, as evidenced by the number s of folks who gather together just to watch him while taking numerous photographs of the creature as I have done. 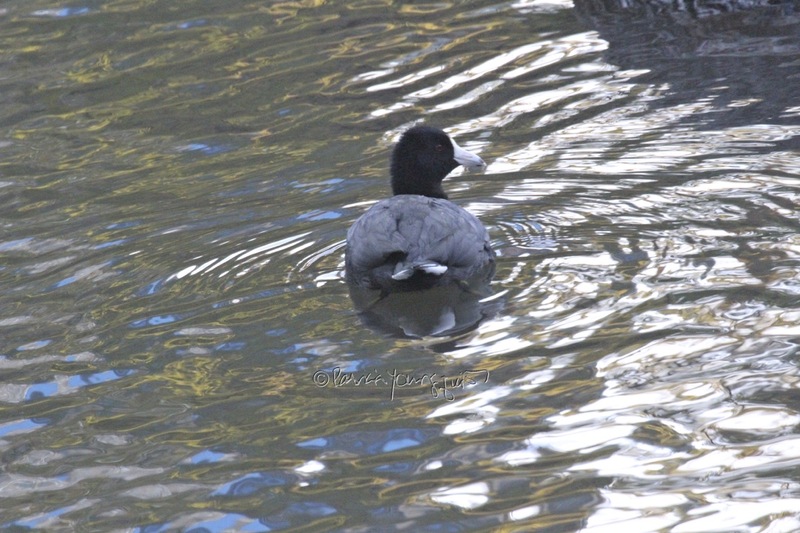 Ten of my images can be printed on various surfaces for wall art as well as on greeting carfs, spiral notebooks, tote bags and household items, including throw pillows! 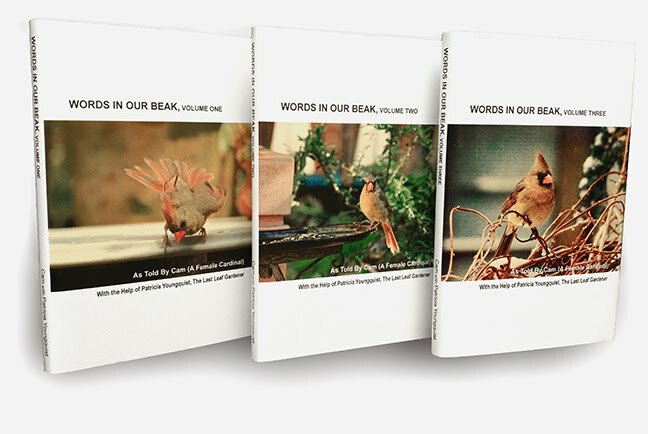 With the upcoming holidays of Chanukah, Christmas and Kwanza; these items will delight any recipient. 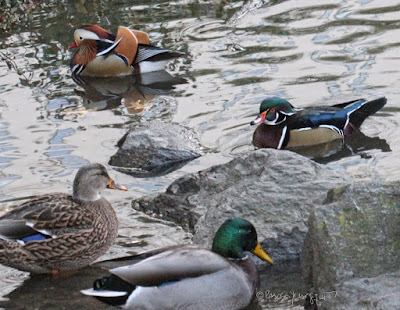 Everything can be viewed within a gallery on my Fine Art America Pages.